Lines open in 13 hrs 52 mins. 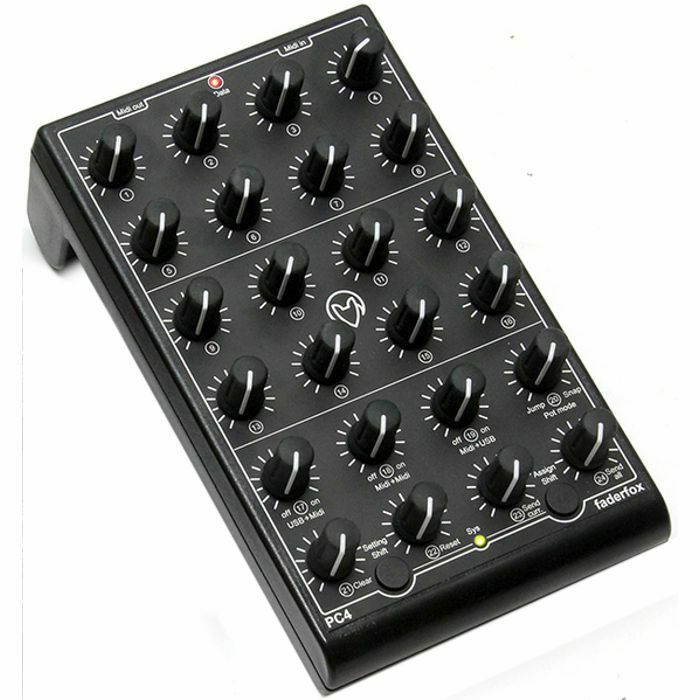 PC4 is a universal controller for all kinds of midi controllable hard- and software. The device has 24 standard pots with rubber knobs designed in a 4 x 6 matrix. 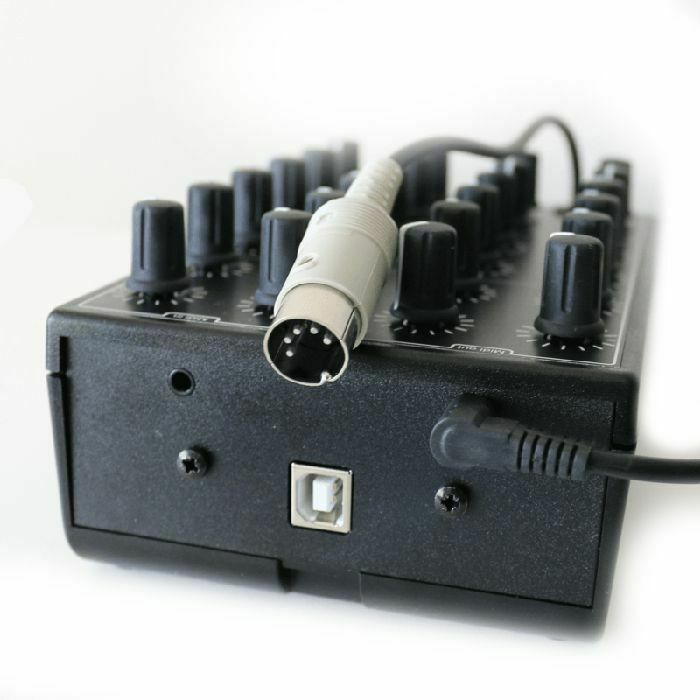 Various kinds of midi commands like control change, pitchbend and program change are possible. Of course you can assign the pots to any of these commands by learning incoming midi commands like software it does. The pots work with standard resolution of 7 bit to have full compatibility to any software and hardware instruments, effects and DAW's. Use the internal 16 setups to save your individual settings. Backup and restore of all settings by sysex dumps is possible too. The factory settings are perfect to control music and video software products out of the box if they are freely assignable. So any additional device programming isn't necessary for many applications. A special feature is the switchable snap function for all pots. This simple function is very rare on standard midi controllers with pots. It avoids possible annoying value jumps. 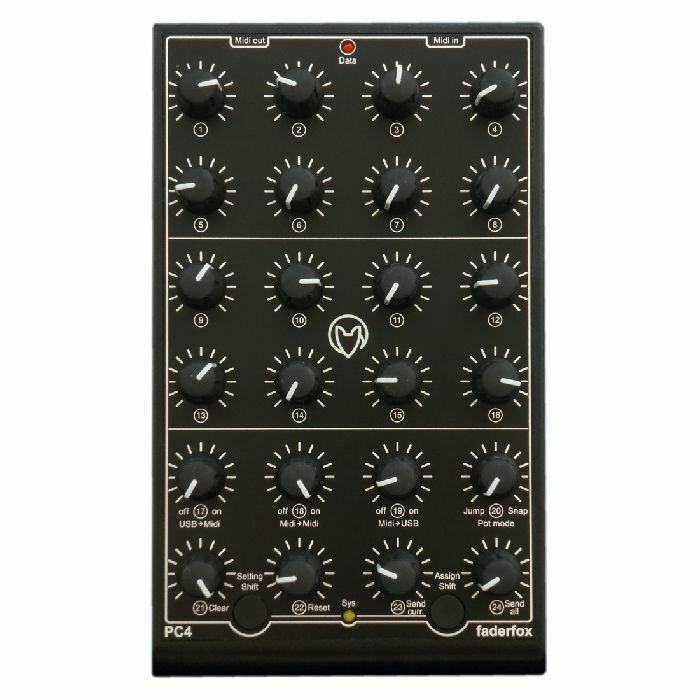 Three switchable midi routings makes the unit much more flexible for complex midi setups. Simultaneous control of external gear and software instruments is no problem for the PC4 due to the available USB and MIDI ports.